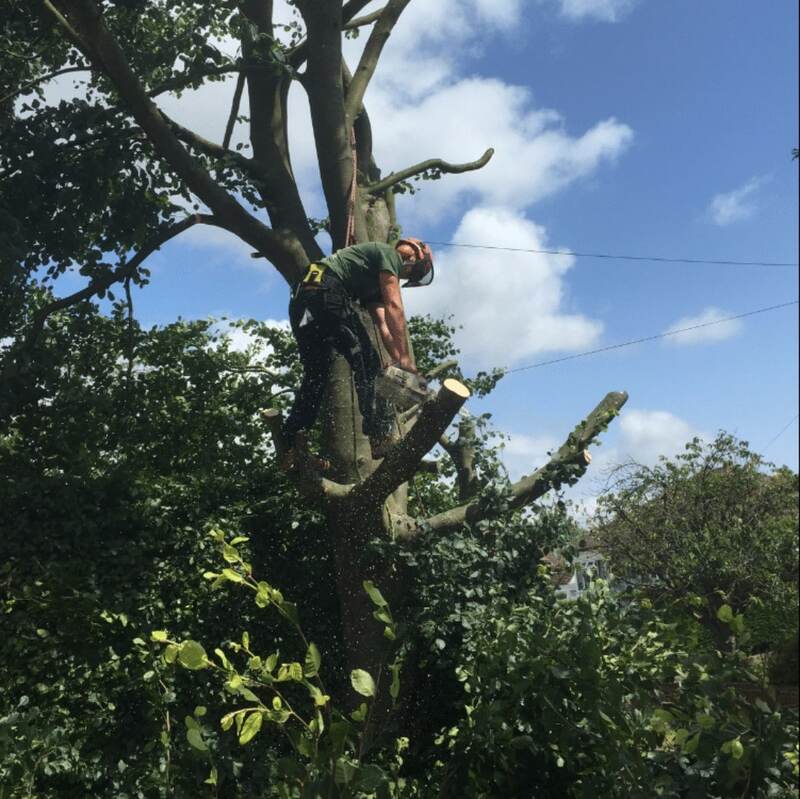 Tree felling involves the safe and efficient removal of a tree, usually because it is diseased, damaged, overgrown or unwanted. 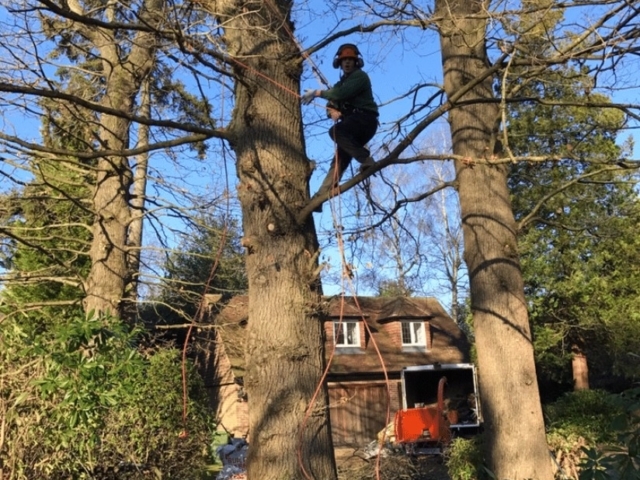 Though we always prefer to keep your trees healthy, and encourage our clients to invest in tree maintenance services to avoid the need for felling, removing a tree is sometimes the safest option – for example, if it has fallen over and is caught on a surrounding tree, or if it has grown too close to your property. 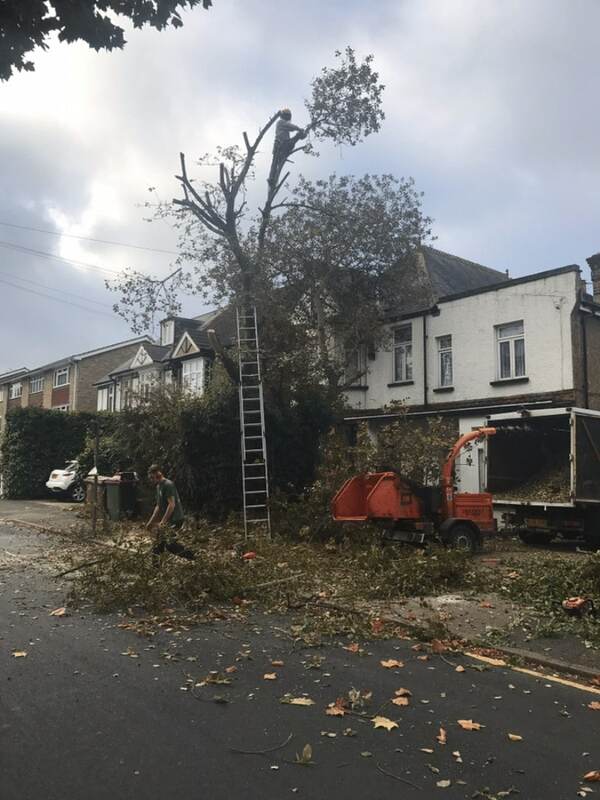 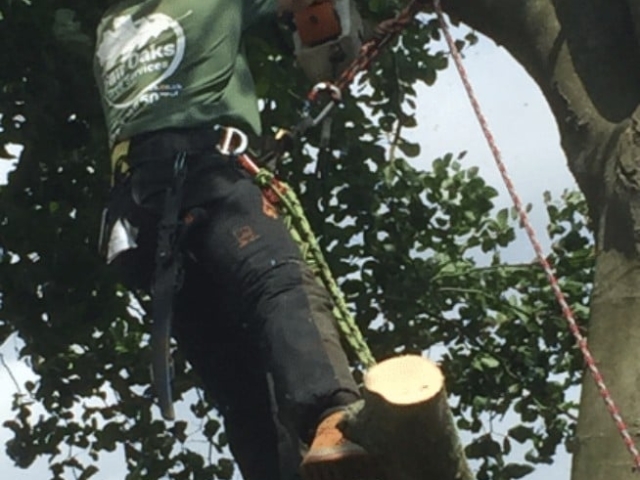 At Fair Oaks Tree Services, we offer safe, expert tree felling for clients in Surrey, South London and the surrounding areas. 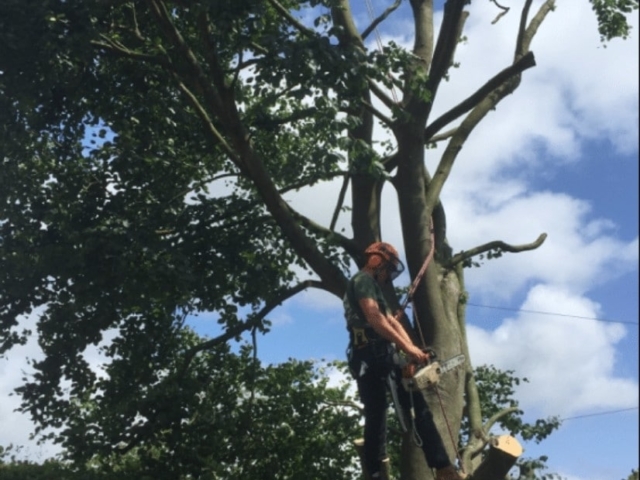 What does tree felling involve? 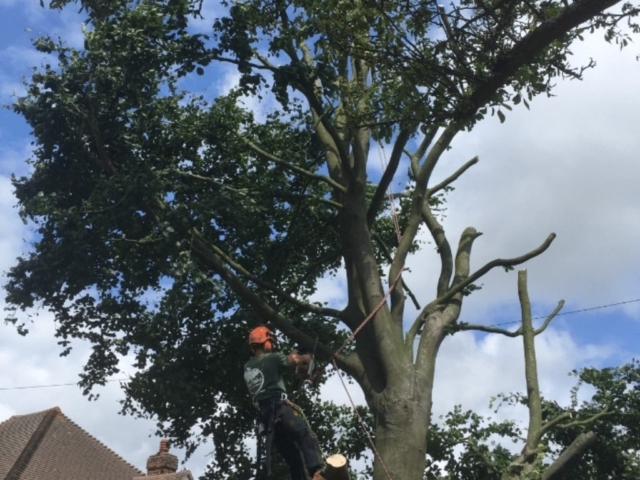 There are two main types of tree felling: we can either remove the entire tree at once (straight felling), or take it down bit by bit (section felling). 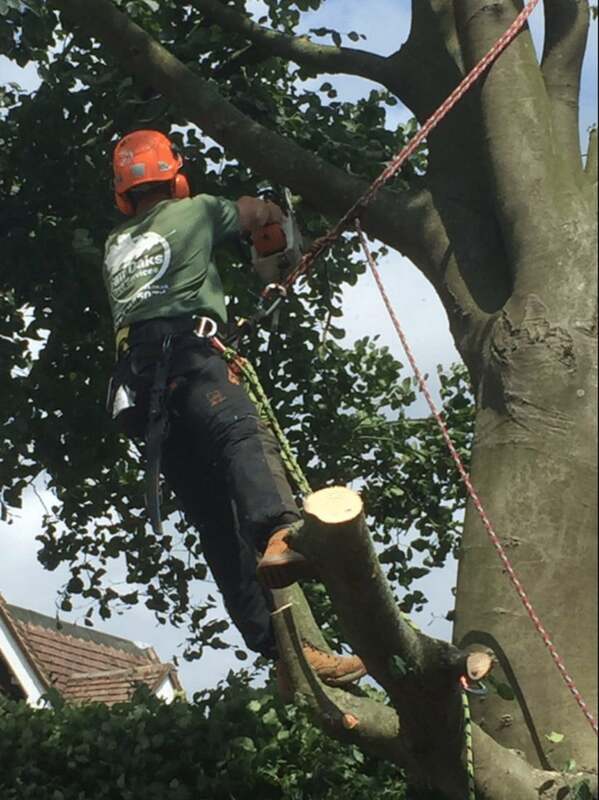 The best option for your tree depends on its location. 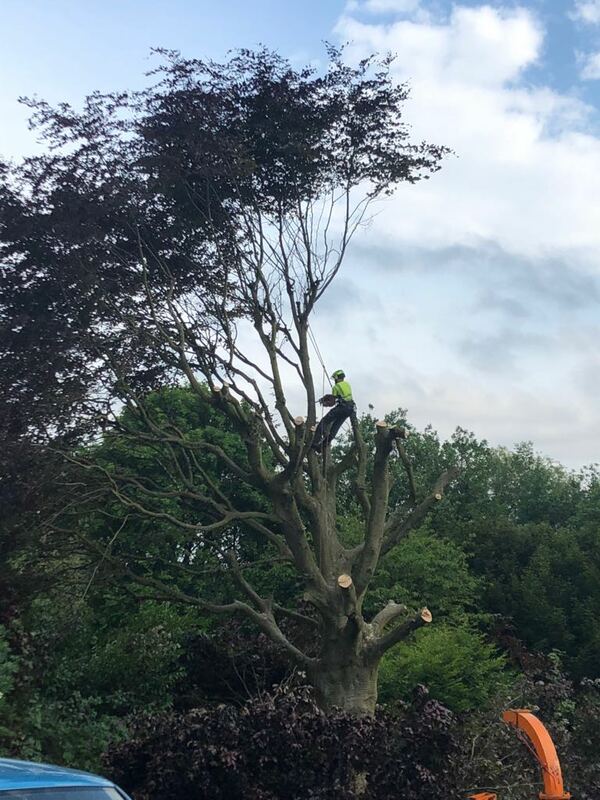 If the tree is surrounded by plenty of unobstructed space, for example, then it is perfectly safe to carry out straight felling; if there is not much space, or the tree is in an area that is particularly hard to reach, then section felling may be safer. 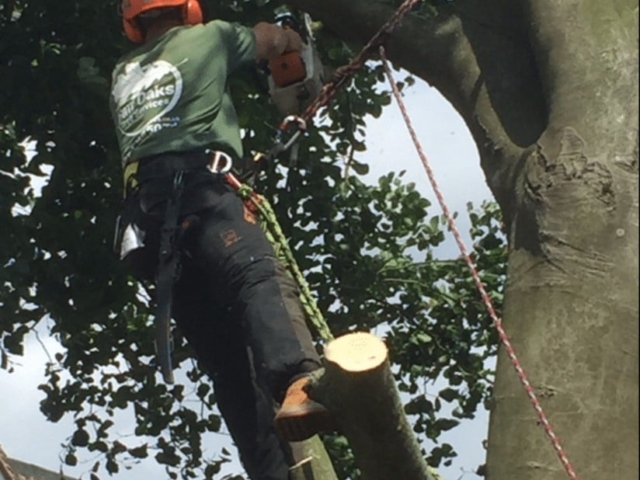 Straight felling starts by cutting a notch at the bottom of the tree trunk, which determines the direction of its fall. 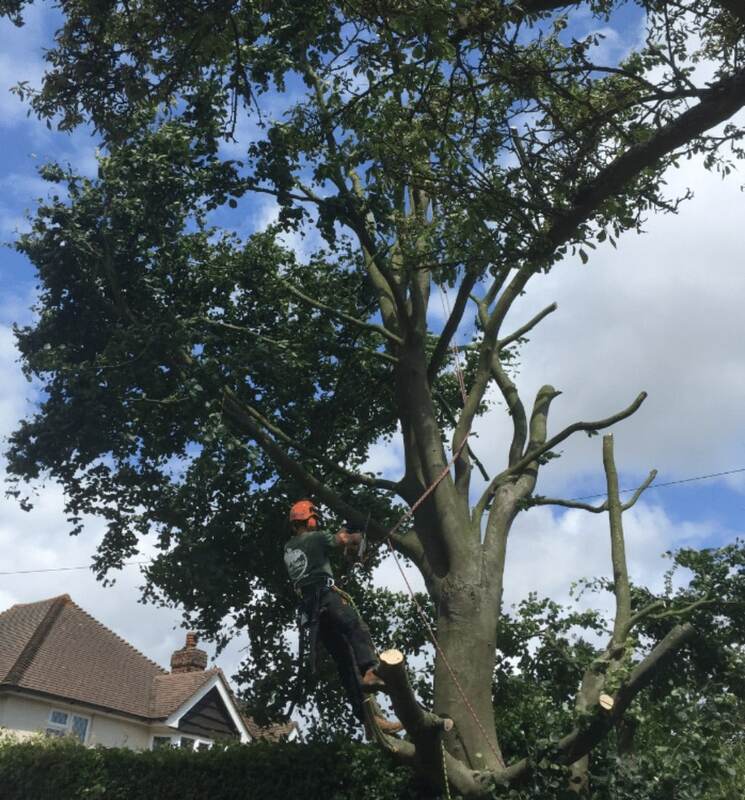 This is then followed with a felling cut, which causes the tree to fall. 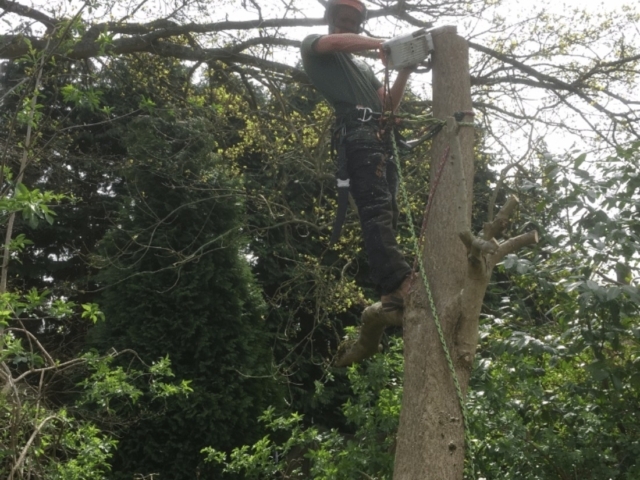 We are then able to direct the tree safely to the ground in one go, hinging the tree from the cuts. 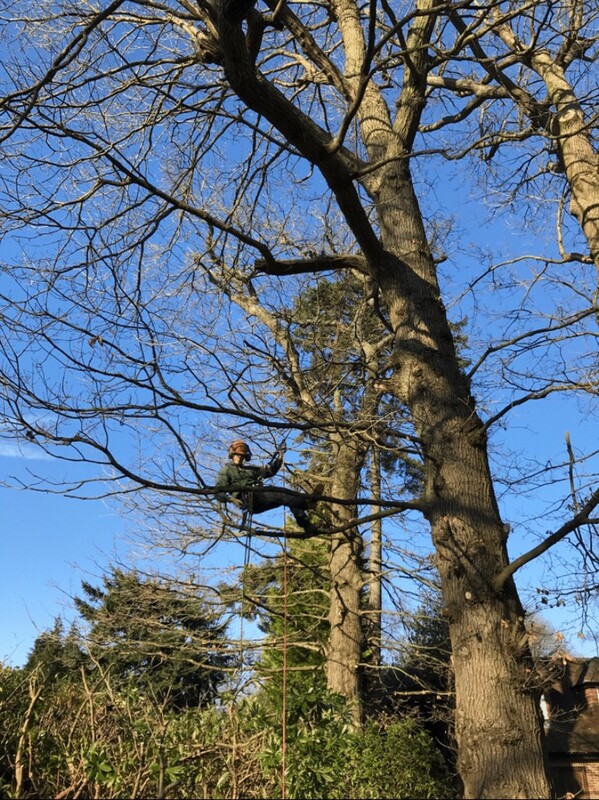 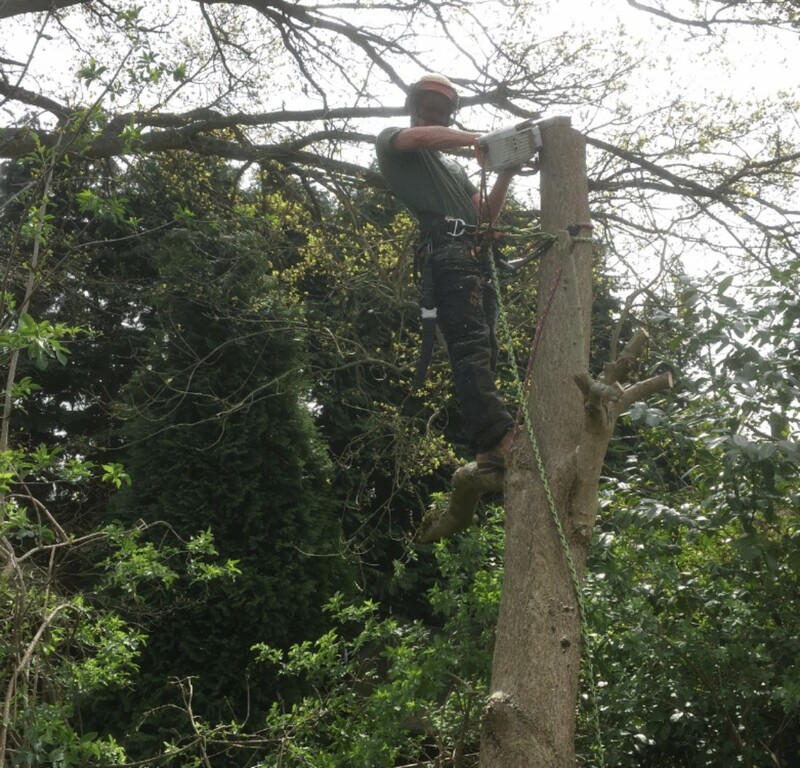 For section felling, a highly trained arborist is safely harnessed to the tree, and cuts down individual sections, which are then lowered to the ground using specialist rigging. 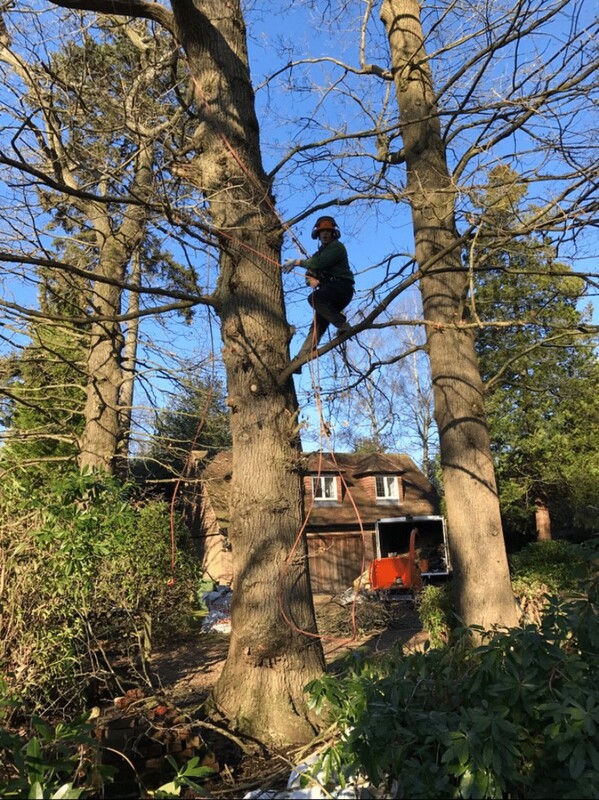 A step by step fell of a large copper beech tree in Esher, Surrey. 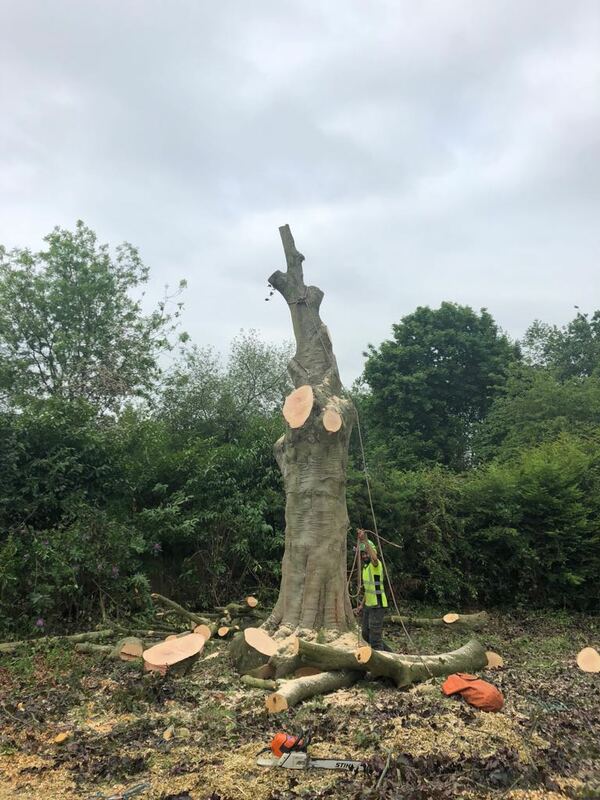 The trunk of a large apple tree the had to be felled due to a large cavity of rot. 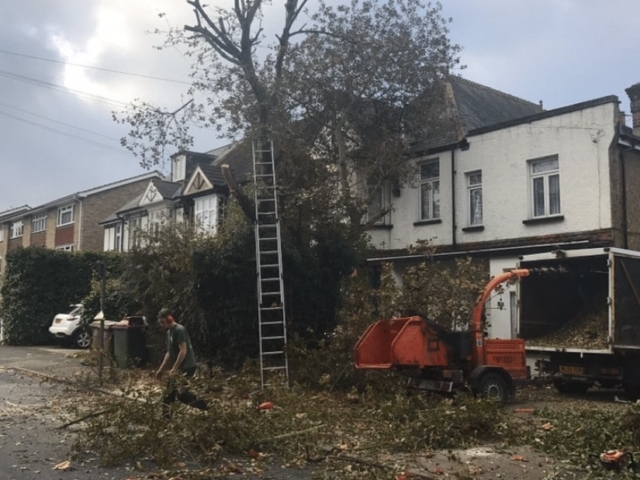 As you can see 75% of the tree is hollow and could damage a neighbouring property or a passer by. 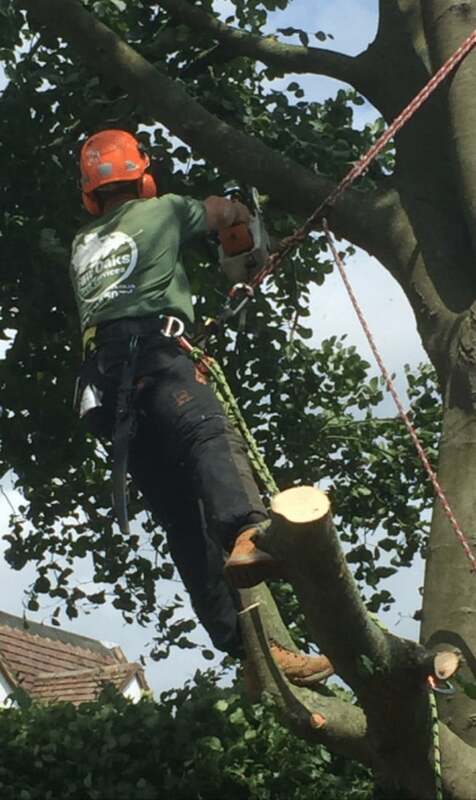 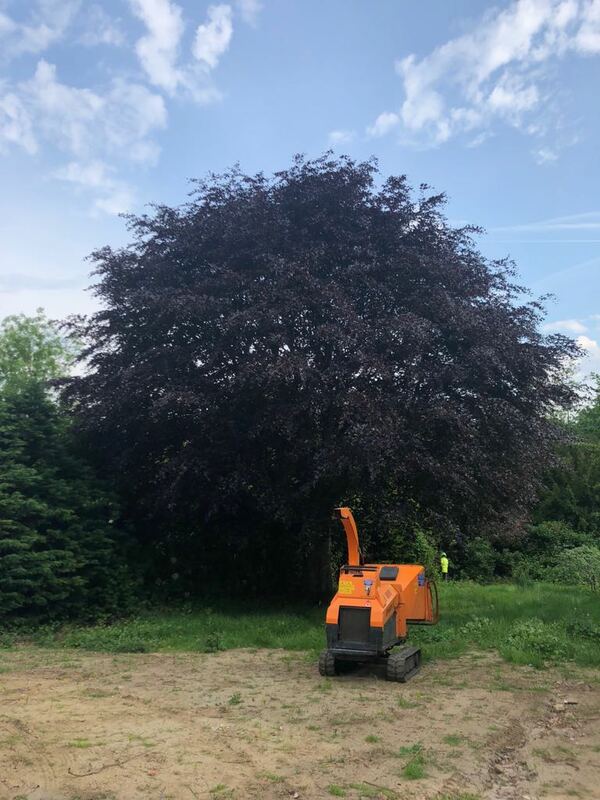 For the safety of our arborists and clients, we always secure the area within which we’re removing a tree, and use felling ropes and felling wedges to manage the process. 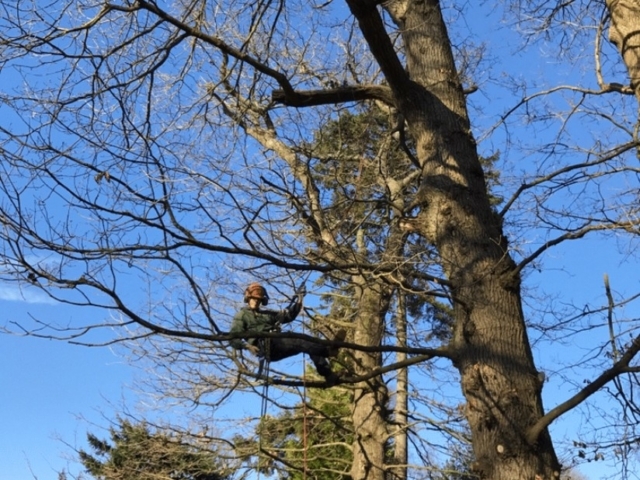 As such, we have complete control over the tree at all times. 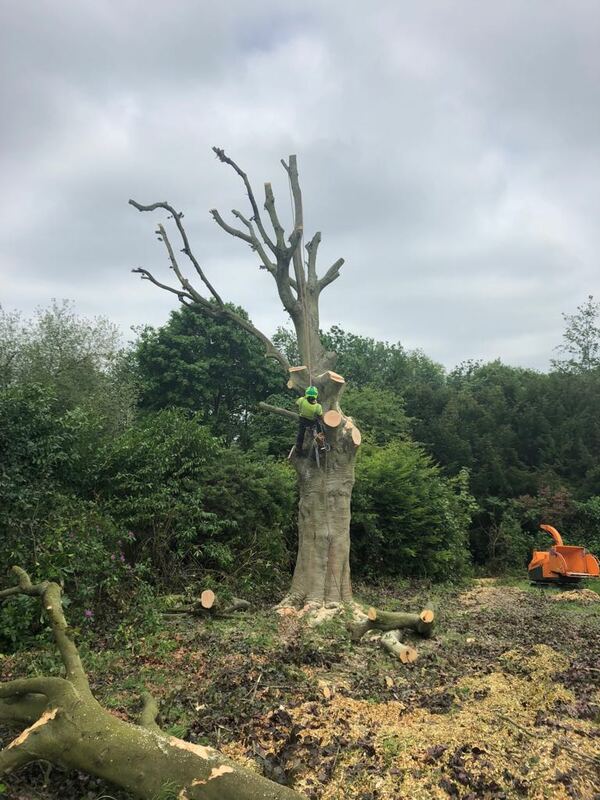 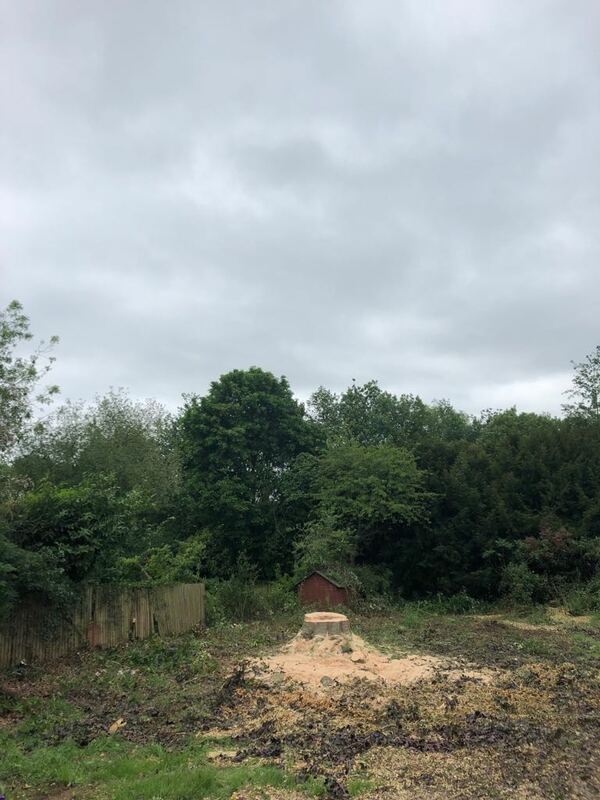 We will also clear up any mess that is made during the felling procedure, and will recycle all the tree waste we create, so you can rest assured that we’ll leave your garden or commercial space as tidy as we found it. 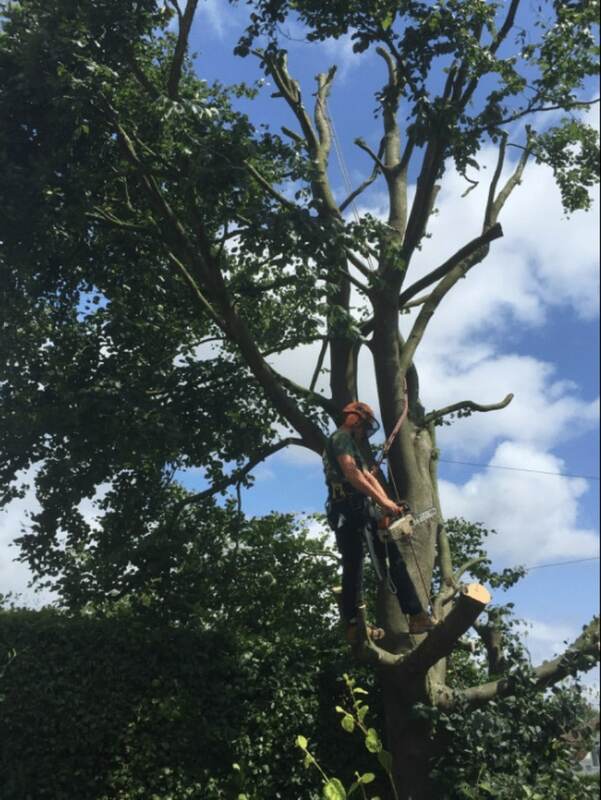 Before we start the work, we will carry out all the necessary checks to make sure your tree is allowed to be felled. 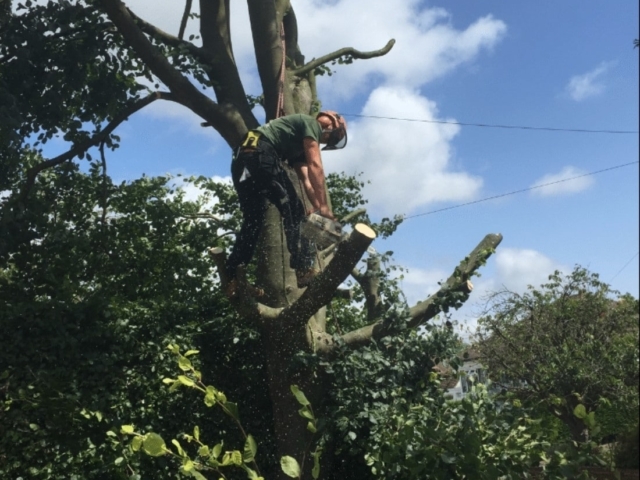 Depending on the location of the tree, you might need to acquire a felling licence to remove the tree; or, there might be a Tree Preservation Order in place. 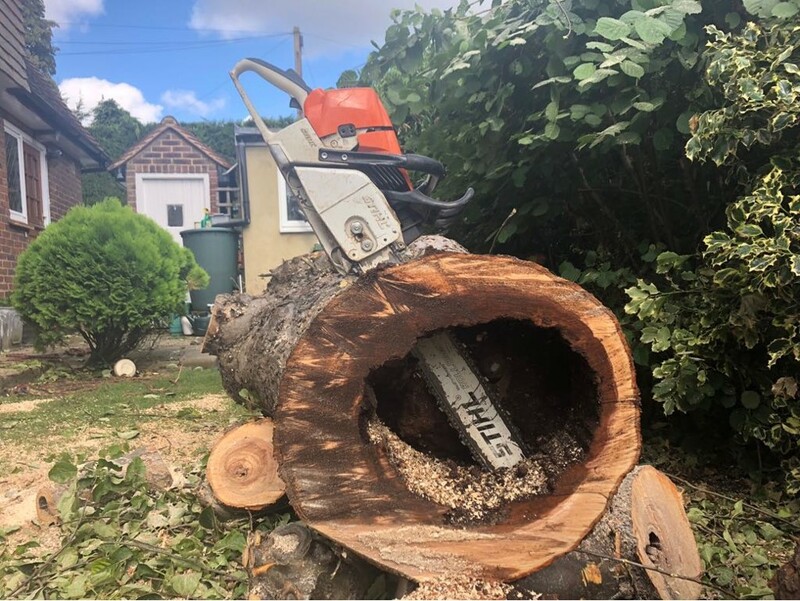 If you need a tree felled at your property in Surrey, South London or a surrounding area, contact us at Fair Oaks Tree Services today.